Have a drink with your old pal, Jack Skellington! The Nightmare Before Christmas Jack Skellington Head Mug is a totally awesome mug made to look like the head and face of Jack Skellington. 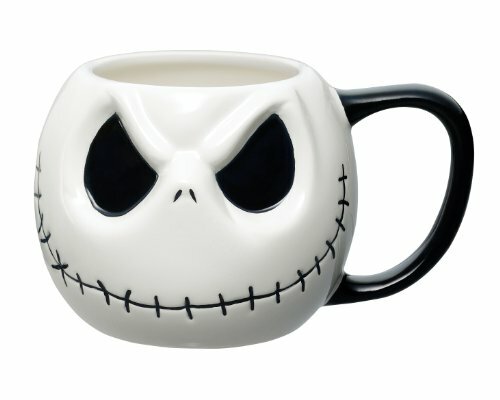 If you love the Pumpkin King of Halloweentown as well as Tim Burton's The Nightmare Before Christmas, then this mug is for you! Microwave safe. Can hold nearly 19 ounces of liquid.